October | 2015 | Fit Girl. Happy Girl. This was the hill that did me in–look at that *actual* pain face. For a few weeks leading up to the Runner’s World Half & Festival weekend my left hamstring had been sore. I thought it was just the normal aches and pains of marathon training—no big deal, I can tough it out! But then, during the 10K at the RW Half weekend, I started noticing more pain in my hamstring, a different, sharper pain. 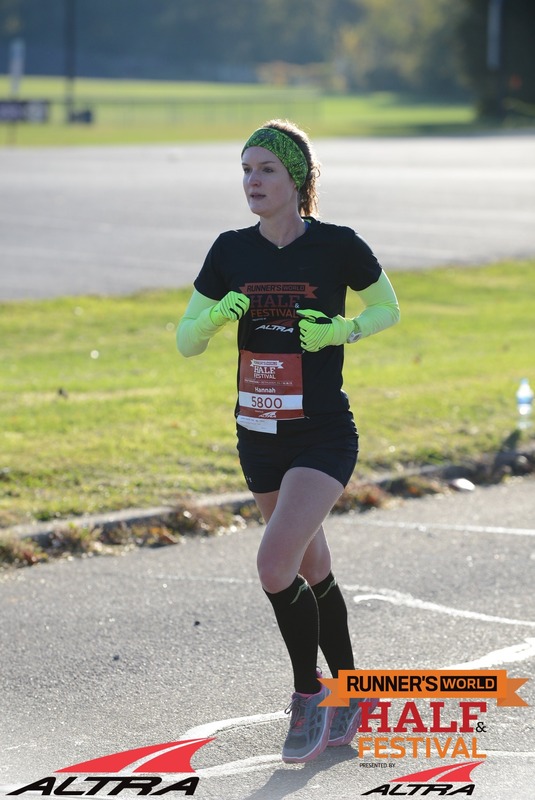 And then during the half marathon, my hamstring up and quit on me and I had my first DNF. Originally, I decided to DNF because I thought it was the smart thing to do. I thought, I have New York in two weeks, I should just call it quits now and save it for the marathon. It would have been much smarter to give myself a few extra rest days weeks ago when I first started feeling the pain but hindsight is 20-20, right? I dropped out just after the 6-mile marker and a very long climb up a steep-ish hill that caused the hamstring to scream. When I got to the medical tent back at the starting line, the head doctor said it was most likely a strain but could be worse, an avulsion fracture, which is basically when the hamstring pulls away from the pelvic bone and actually breaks the bone. That freaked me out. So, I followed the doctor’s orders, iced it and took a week off from running. He said if it didn’t feel better, I should go see a primary care sports medicine doctor, which is exactly what I did today. The great news is I didn’t fracture my pelvic bone but I do have hamstring enthesitis, which is inflammation of the hamstring where it connects to the ischial tuberosity. Ouch! When I asked the doctor if he thought I could still run the NYC Marathon this weekend he said definitely not. Right now it hurts to sit on hard surfaces for an extended period of time and when I try to run the sharp pain presents almost immediately. I’m super bummed to be missing the marathon. I’ve logged more than 440 miles over the past 16 weeks to get ready for this race. I’ve done some of my best speed workouts, had two solid 20-milers, and was looking forward to running through the Big Apple but I failed at the number one rule of running—I didn’t listen to my body. This will be a lesson for me, that’s for sure but I rather miss out on 26.2 miles through New York City than risk it and possibly do more, long-term damage. So no New York City Marathon for me. No running for me for awhile actually. I’m going to start physical therapy this week and hopefully I’ll be back on the roads soon. Have you ever had hamstring enthesitis, high hamstring tendinopathy, or a proximal hamstring injury? Any advice is more than welcome!